When you do not follow the correct steps it can drag out the whole painting job much longer than it should, as well as cost you excess funds. If the surfaces that you plan to paint are not correctly prepared you can experience poor paint adherence, spotty coverage, poor color quality, bleeding through of covered paint and more. Making sure that the surface is clean, no matter if it is new or old, is of vital importance. Once this step has been done, priming is the next step on the agenda. But why is priming important, and how can you be sure that it is being done correctly? We will go over some of the reasons why you should apply this coating. Primer helps to hide joints and seams on new drywall, and it prevents bleed through from knots and other natural blemishes on bare wood. Primer with stain blocking seals over mold, stains, and other discoloration to stop them from showing through the final coats of paint. It's a very important step in the coating process. You are covering a bright or bold paint – When you are planning to cover bright reds, blues, or greens you will need first to apply a primer. This is to ensure that the new color covers completely. Please note that more than one coating of primer might need to be used. You are painting over a higher sheen – If the substrate that you are planning on painting has a high sheen paint on it already, you will need to apply a primer to make sure the new coating adheres completely. At this point, you can do one of two processes. 1) Just apply a primer to the high sheen surface and repaint, or 2) Rough up the surface of the paint by using a fine grade of sandpaper very gently, clean the surface, and then apply the primer. Of course, using the second process will help you to achieve the best results. You have a new unpainted surface – This includes new construction and also any new drywall after drywall repairs. If you do not use a primer before painting, you will need multiple layers. This costs extra time and money. To cover up discolorations – This can be needed in a commercial ares such as offices, rental homes, and apartments, stores, schools, and hospitals. Some of the discolorations can include scuff marks, marker, mold or mildew (these two require extra steps to ensure that everything is taken care of), crayons, and water stains. 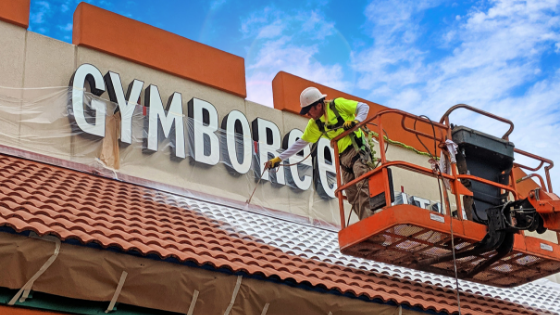 Of course, if you get in touch with knowledgable painting contractors, they will know which type of primer would be best to use on any of your commercial surfaces. They will also be able to see if you are a candidate for a primer and paint combo, which can save time and money. Talking the extra time to prep your surfaces can save you many headaches in the future, and will help you get your desired look and finish.